What better way to start a new week than with a new restaurant for you to feast upon? Okay, so maybe not brand new – Dough has blessed the streets of the Northern Quarter for around 6 years now, but after undergoing a total refurb following an ill-timed pre-Christmas flooding, the doors of Dough have reopened to deliver their classic, much-loved menu once again with some new, exciting dishes thrown in to celebrate. 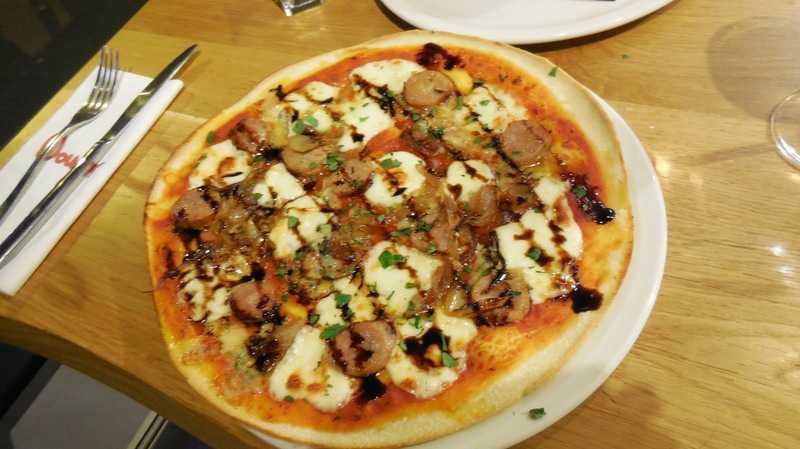 We arrived at Dough on a Thursday evening, greeted firstly by the rich aromas of garlic and basil which had our bellies rumbling before even reaching the door. Inside, the place was abuzz with a happy vibe, lots of chatter and almost every table occupied. We were seated in a prime location by the window with a view of the whole restaurant, as well as giving us a sneak peak into what the chefs were cooking up in their open kitchen theatre. As we had arrived good and hungry, we were pleased to discover the menu held a mixture of classic and creative plates, incredibly varied but deliciously so. The starters were simple but spectacular. Garlic Dough Dippers with Mozzarella. A simple enough idea, but executed to pure, cheesy perfection. Chunky dough balls, smothered in mozzerella and baked till gooey, served with an oily garlic dip. Order two lots, these babies aren’t for sharing. The grilled halloumi arrives like a deconstructed bruschetta. Eaten seperately, s’nice enough – but stacked together? It’ll blow your mind. 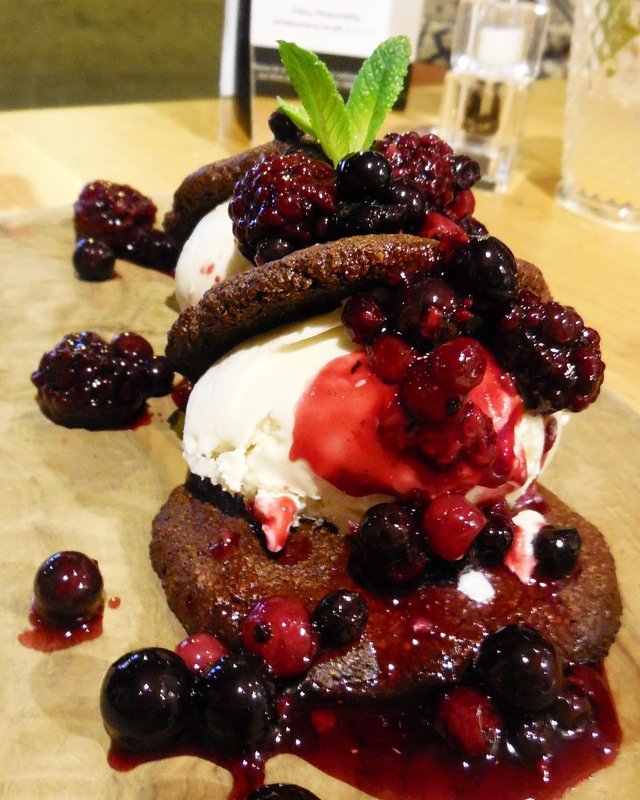 Unable to decide between the mains, we agreed to share, there’s far too much on offer to commit to just one! The Sweet Potato Risotto was rich and utterly satisfying, with thick chunks of blue cheese and welcomed crunches of candied walnuts hidden within the oozy, creamy rice. (An accolade I don’t give out easily). Butchers sausage, Stilton, caramelised and balsamic glaze. Ever so slightly sweet, but balanced beautifully with sharp tastes of the drizzled balsamic and meaty mouthfuls of sausage (oh-er). The cheese sits at the point of gooey, melted joy; making each bite a glorious, indulgent, eye-rolling experience. Combined, these two dishes compliment each other spectacularly. 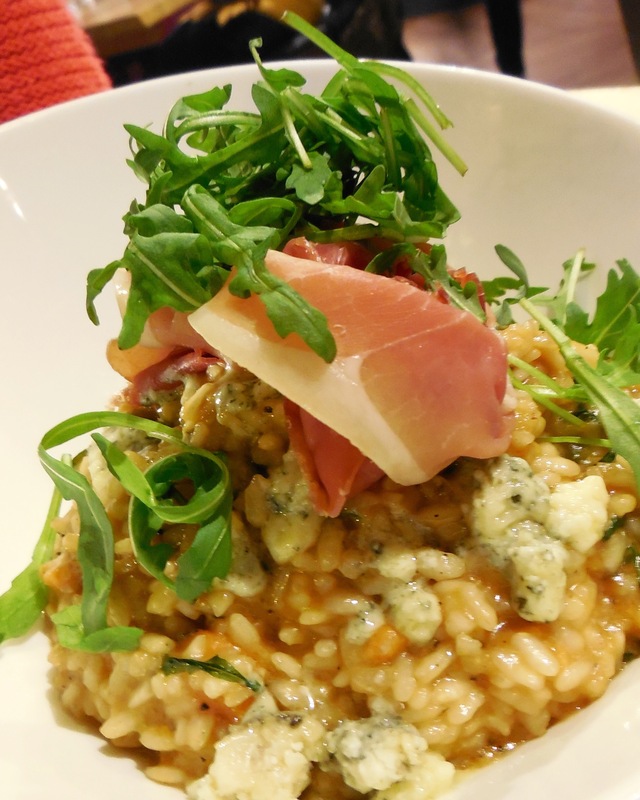 The sweetness of the pizza, the utter gluttony of the risotto together creates an incredible balance of flavours and textures, without being “too much” of either or. We polished off the lot, erasing any trace left behind. “Cleansing” our palettes with this rather divine creation. I wish I could remember it’s name, but there was rum and coconut and all manners of wonderful things in there. I hope you left room for dessert. Because they’re really quite something. What I loved about Dough, is not only how incredibly experimental and talented the chefs and staff were, (shoutout to our awesome server Ehsan). 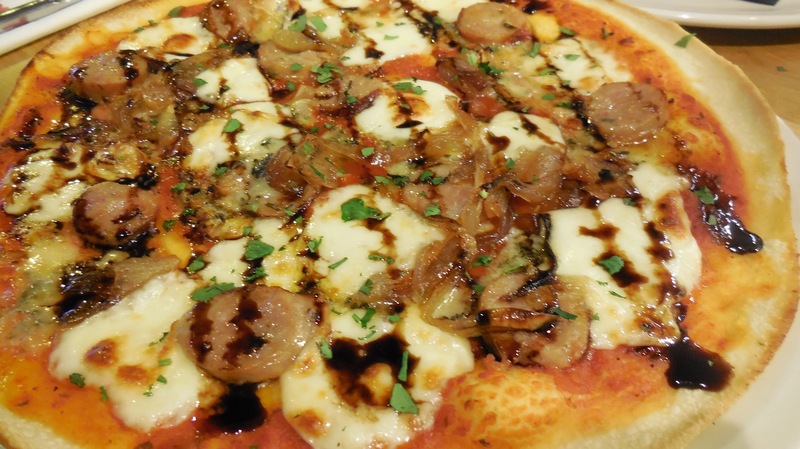 But also their passion to provide their pizzas, pastas and puds to anyone who walks through their door. Gluten intolerent? Dairy deficiency? Vegan? The good guys at Dough have got you covered. Our first dessert was the Vegan Chocolate, PB Crispies. Classic chocolate rice crispy wedges, served with a pool of warm, smooth peanut butter. An upgrade to a childhood favourite and every bit as good as it sounds. Sumptious and our favourite of the two. You honestly won’t believe how good it is until you try it. Make sure you pay Dough and their new digs a visit. You can find them in their usual spot, across the cobbles on 77 High St. Take a bunch of your favourite foodies, order a feast and doughn’t even try and resist a thing.